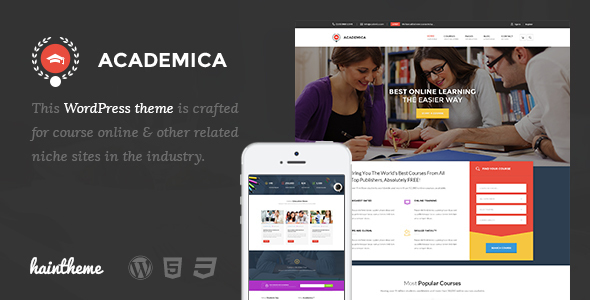 Academica is a large education business WordPress theme created especially for education center, university, academy, online courses & event. It is very easy to use. Haintheme has analyzed many of education center & online courses websites before planning of education business features to ensure they covered all elements and functions. You can use this Premium template for use other variant business. Item Reviewed: Academica Best Education Center WordPress Theme 9 out of 10 based on 10 ratings. 9 user reviews.